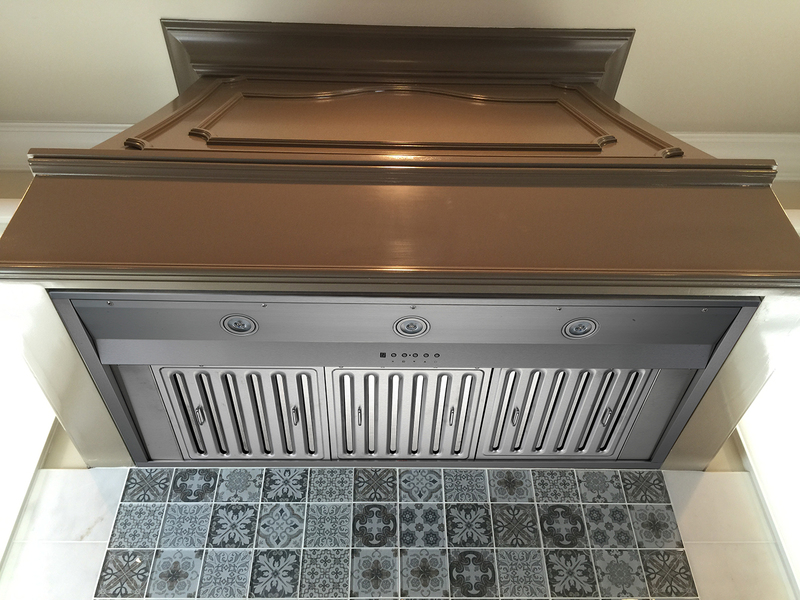 BUILT IN / INSERT 36" - 48"
KOBE Premium built-in/ insert range hood seamlessly fits with custom cabinetry without the need for a liner. A very powerful hood with 1200 CFM making it a great match for high-BTU cooktops. 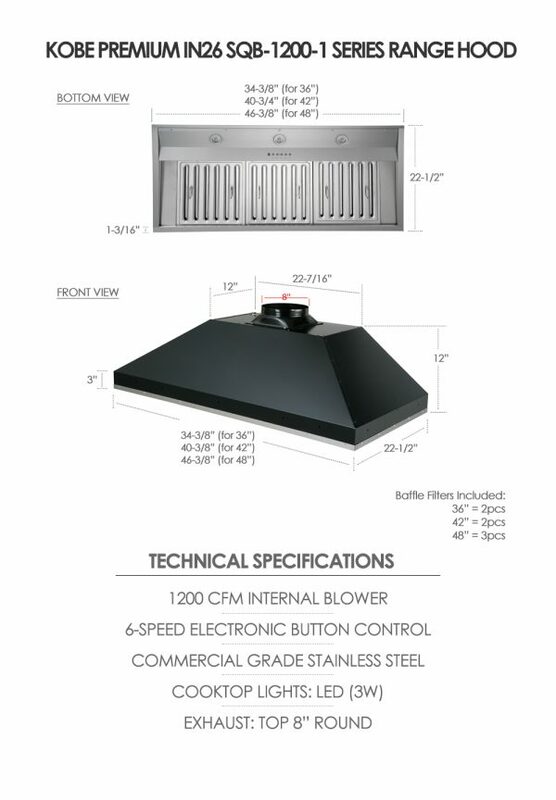 This hood operates very quietly and includes stainless steel baffle filters, LED lights, electronic button control and ECO Mode technology. The ECO Mode allows the hood to turn on automatically for 10 minutes every hour to remove unwanted air particles without having to manually turn it on or off. 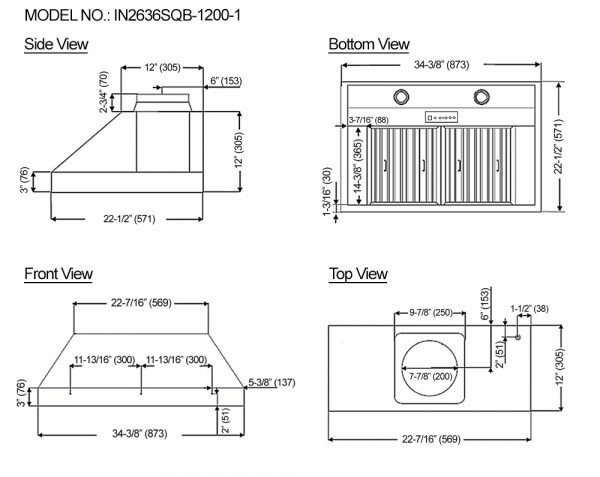 Wireless Remote Control is sold separately. 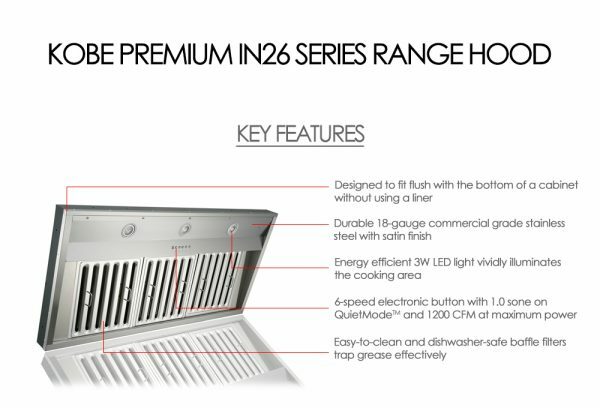 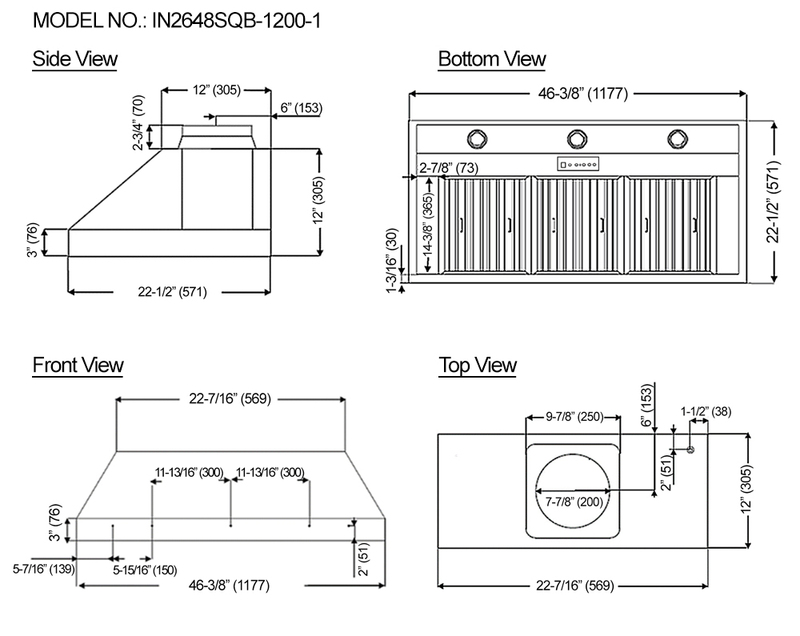 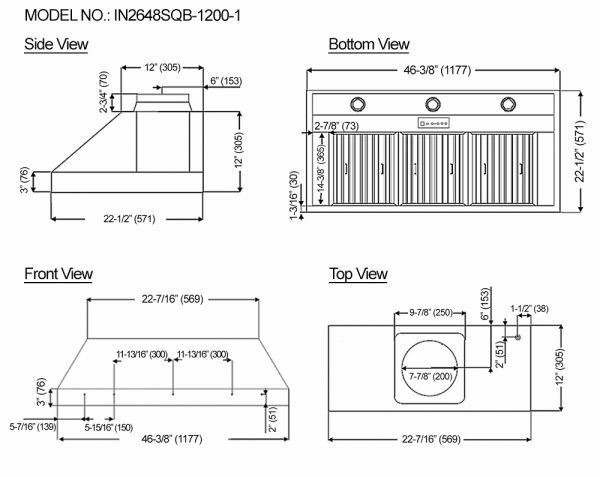 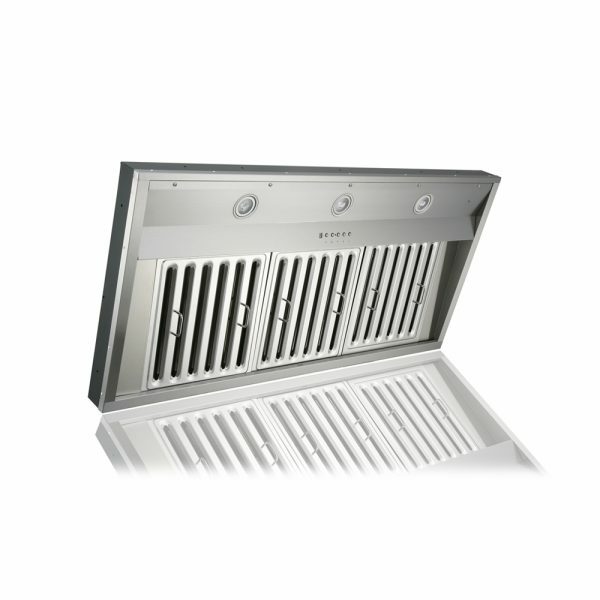 QuietMode™ At 350 CFM, this unique feature allows the KOBE range hood to operate at a reduced sound level of 40 decibels (1.6 sone). 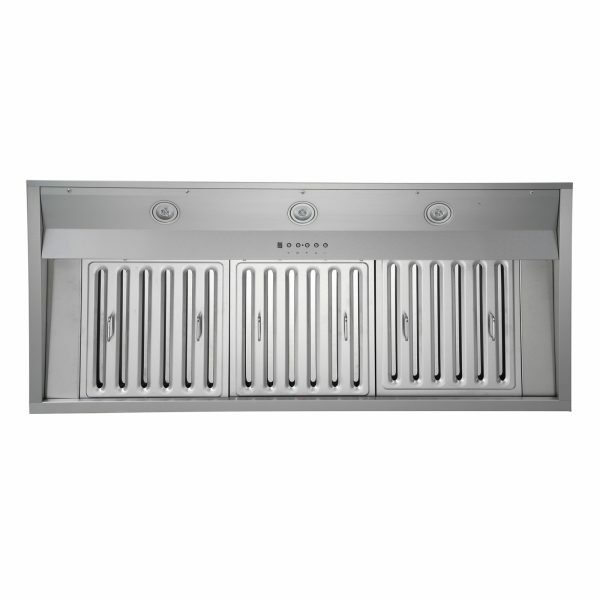 Attractive Appearance This powerful built-in range hood is designed to seamlessly fit with custom cabinetry without the use of a liner.